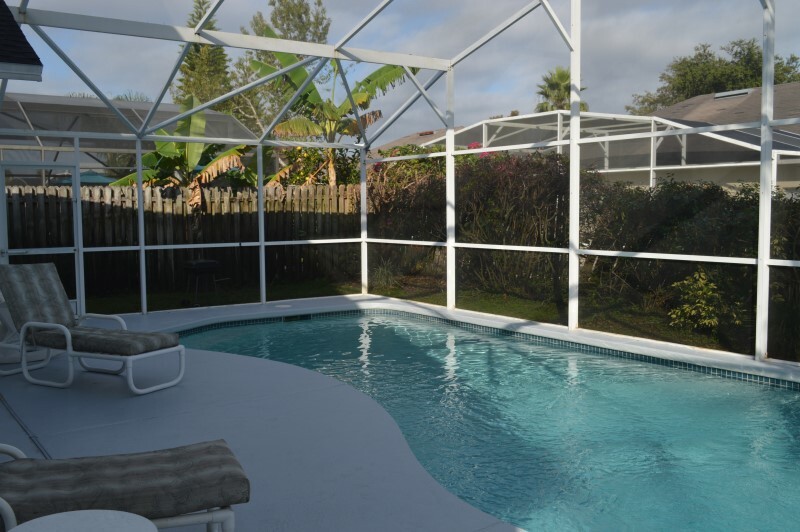 A beautiful villa fully furnished with Tiled Flooring throughout, Free Internet, Wi-Fi and Free Phone Calls; 4 bedrooms 2 bathroom, Private Pool and equipped with a modern fully fitted kitchen, this is a single storey villa, with space for up to 10 adults. 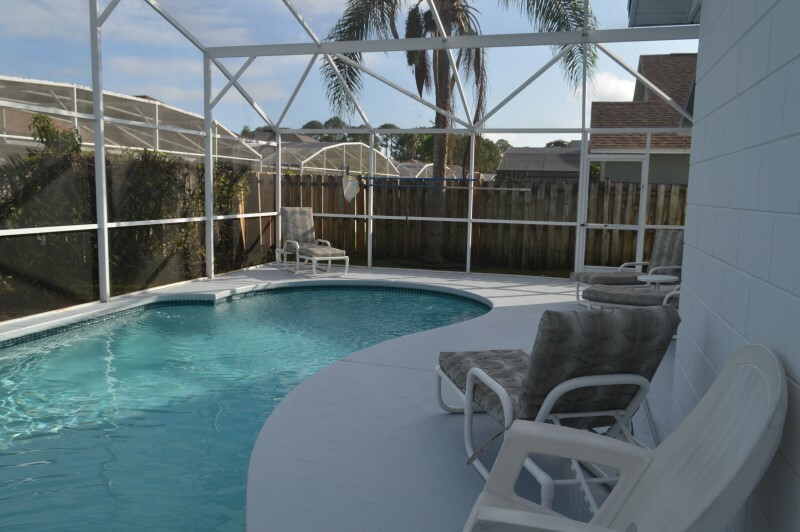 Our villa is situated on top of the 400-acre Lake Davenport, neighboring Disney World in Florida. 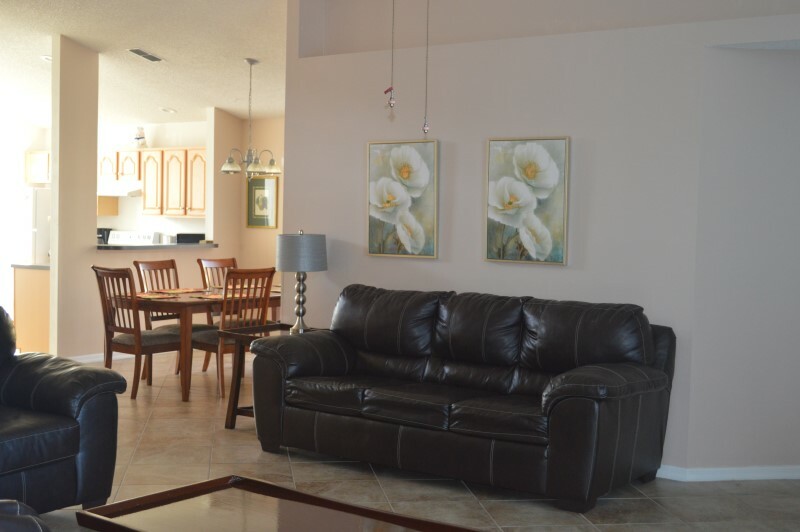 This quiet community can be found on Highway 27 just south of Highway 192. 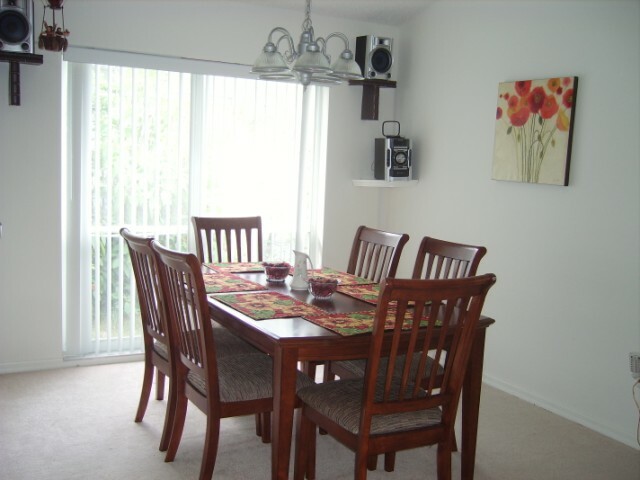 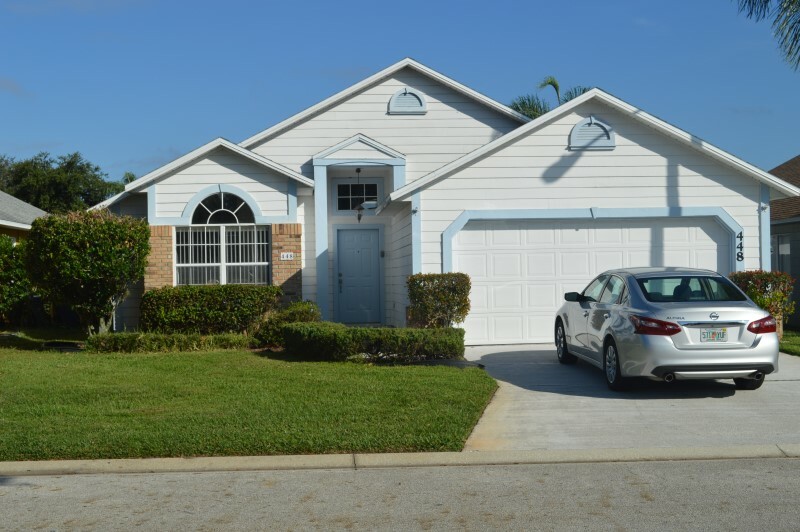 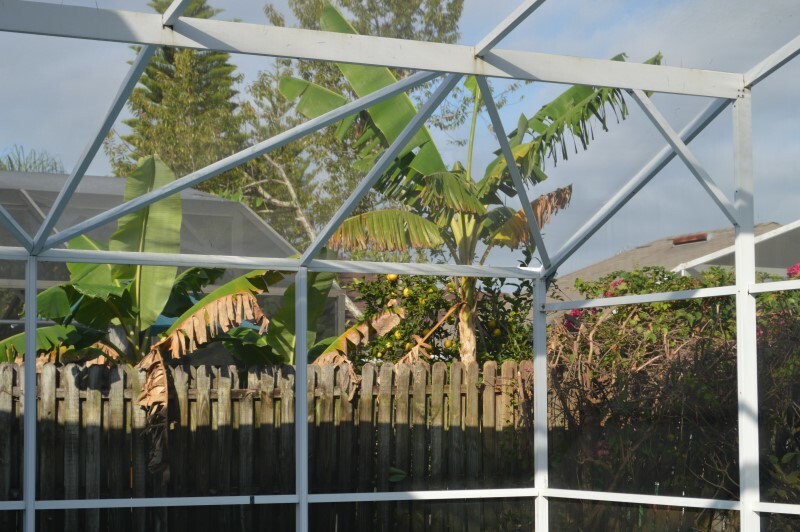 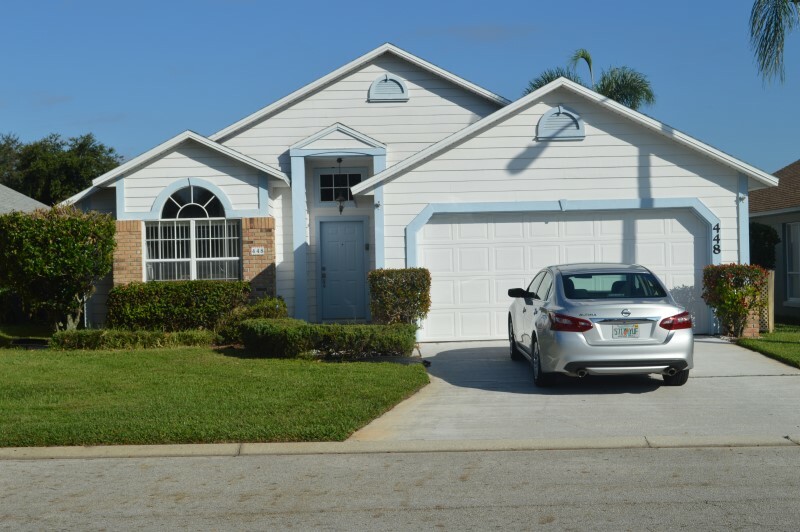 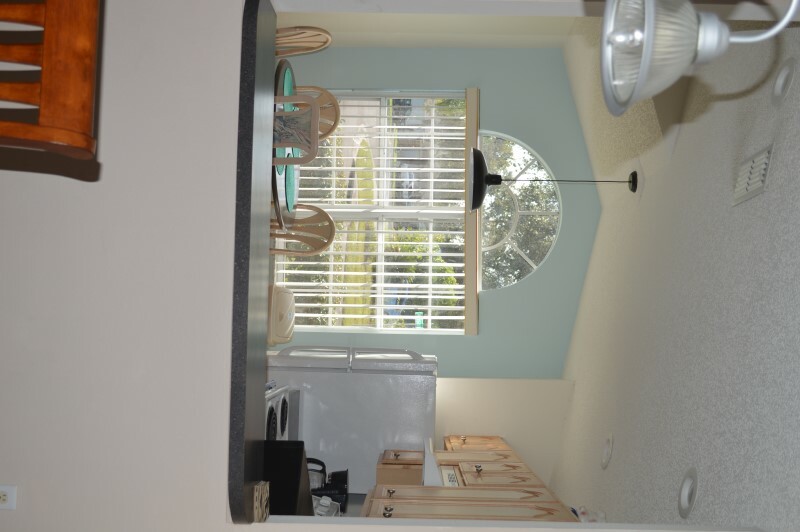 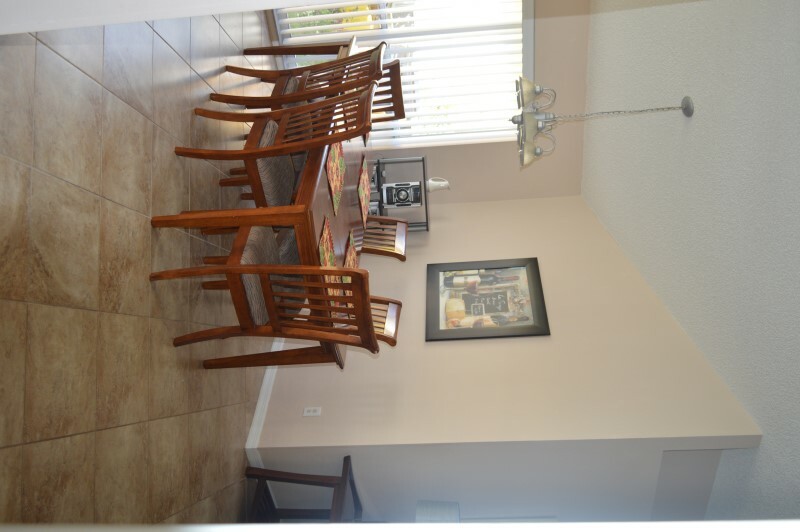 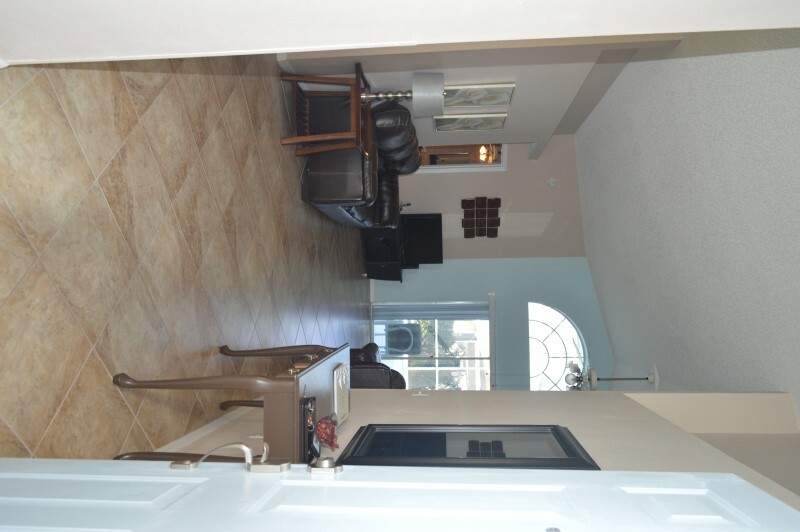 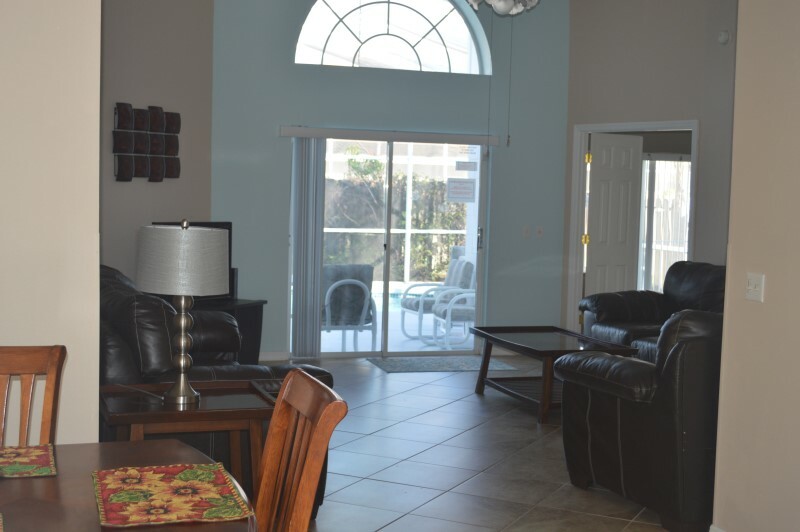 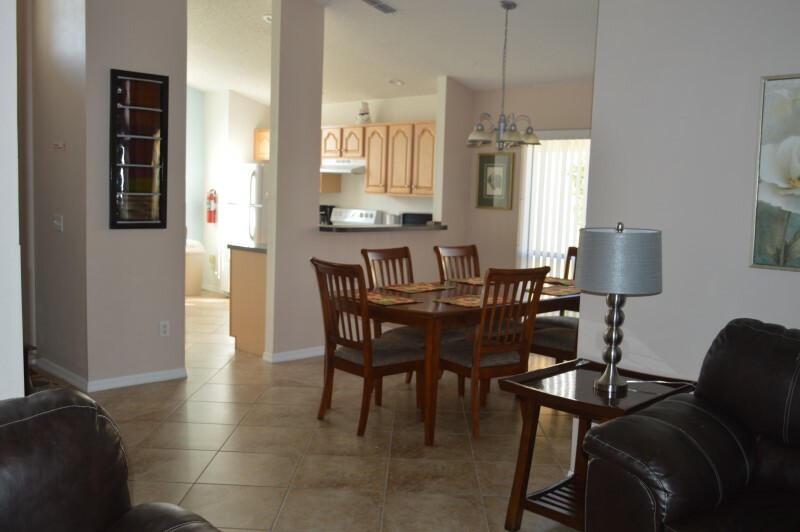 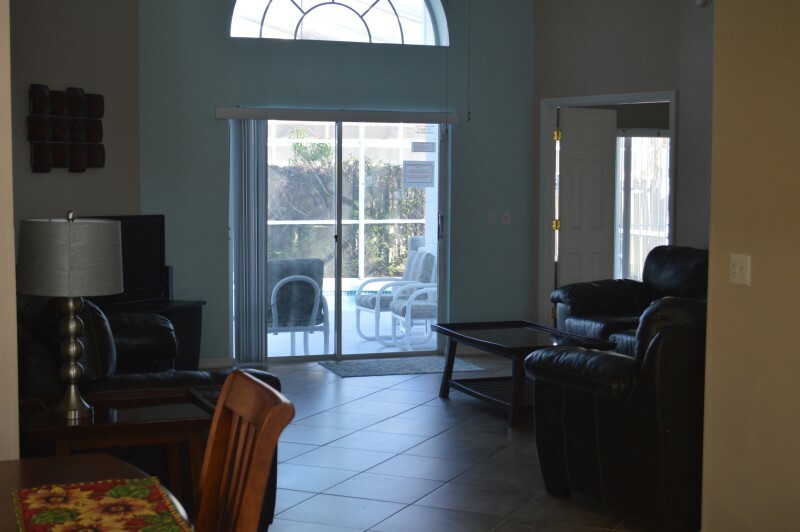 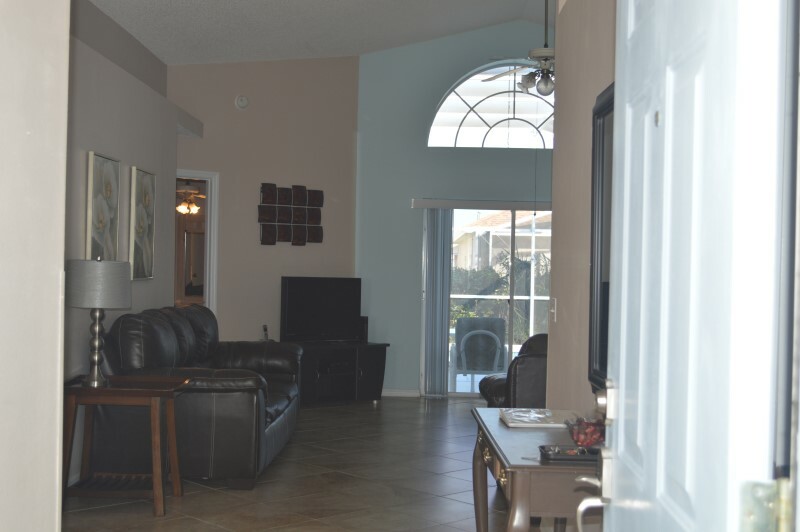 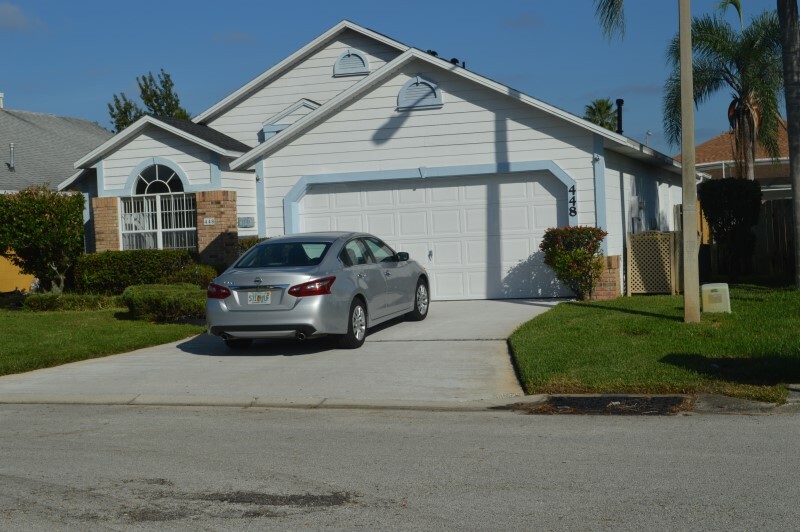 The location provides quick and easy access to Orlando and Tampa Airports as well as Disney World (15 minutes drive) and all the Famous Attractions of central Florida, while located close to all the best Restaurants and Shopping Malls. 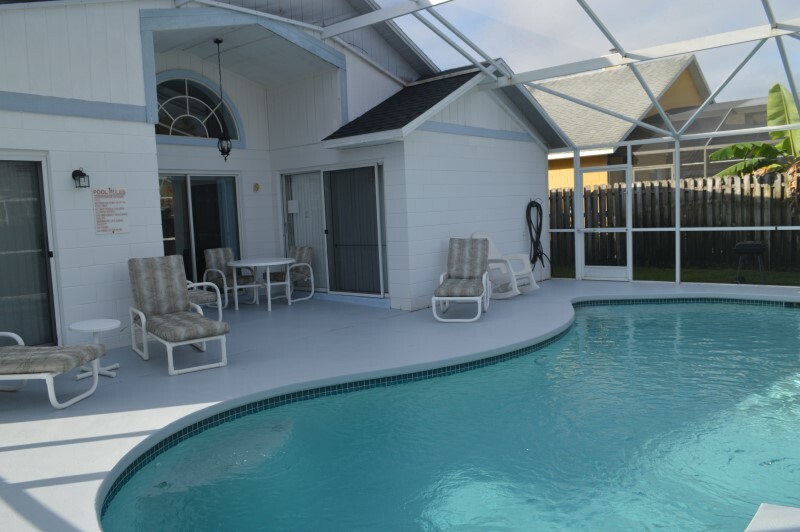 The Villa comes with a Private Heated Swimming Pool and Double Garage. 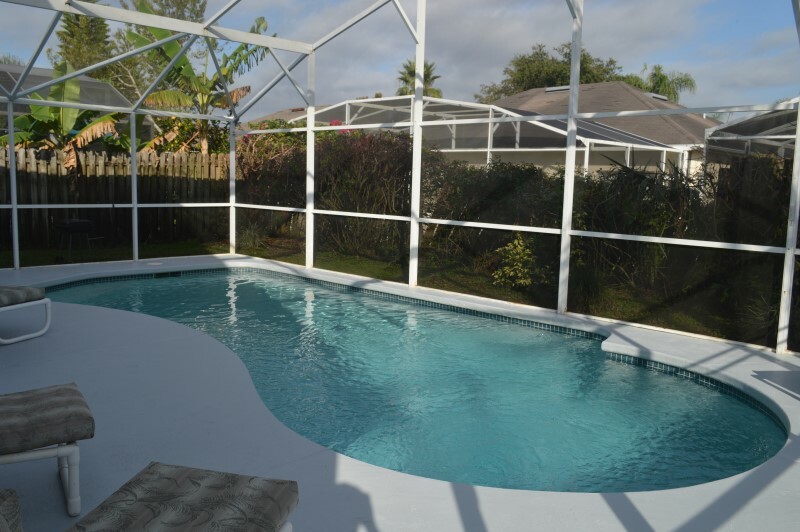 The Private and Screened Swimming Pool, measuring 15 x 30 ft and features a large floodlit deck. 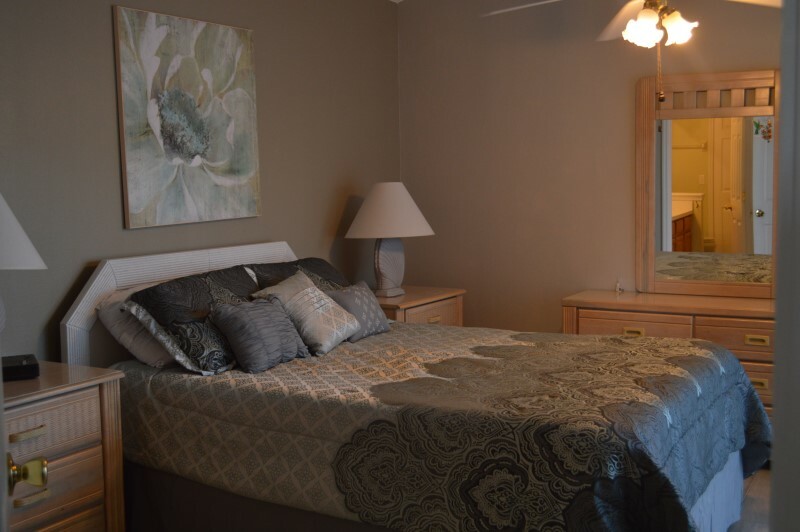 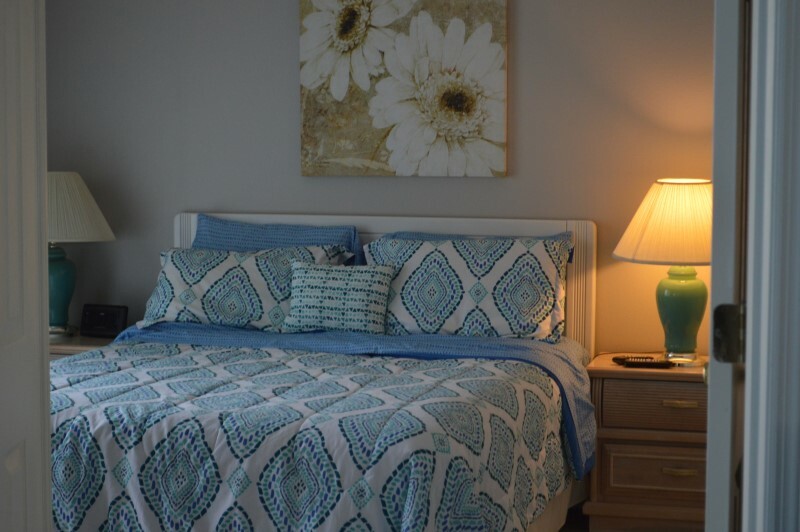 The Master Bedroom has an en-suite and shower, queen sized bed, a walk in closet providing plenty of storage area for clothing and other items, a telephone, large screen television. 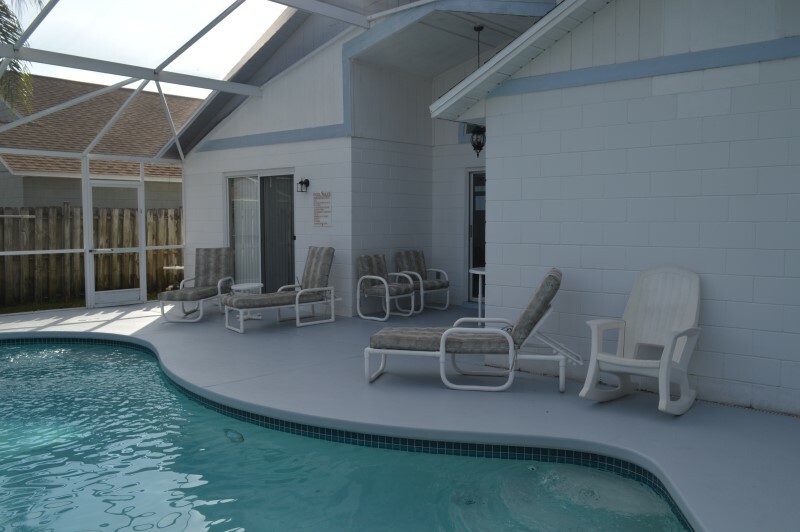 It also features its own doorway to the pool area - perfect for those early morning swims. 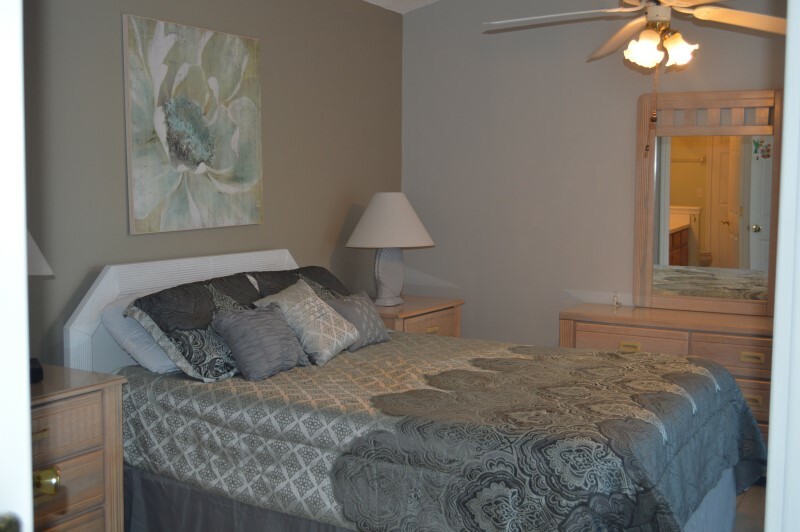 The Guest Master Bedroom also comes with a queen-sized bed. 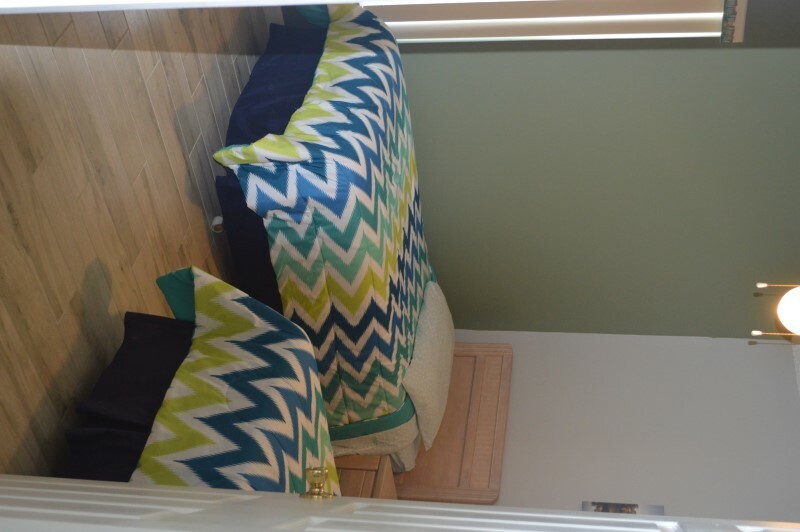 The third and fourth bedroom house two twin beds each, add the double-sofa bed in the Large Living Room and 10 people can be easily and comfortably accommodation for the period of your stay. 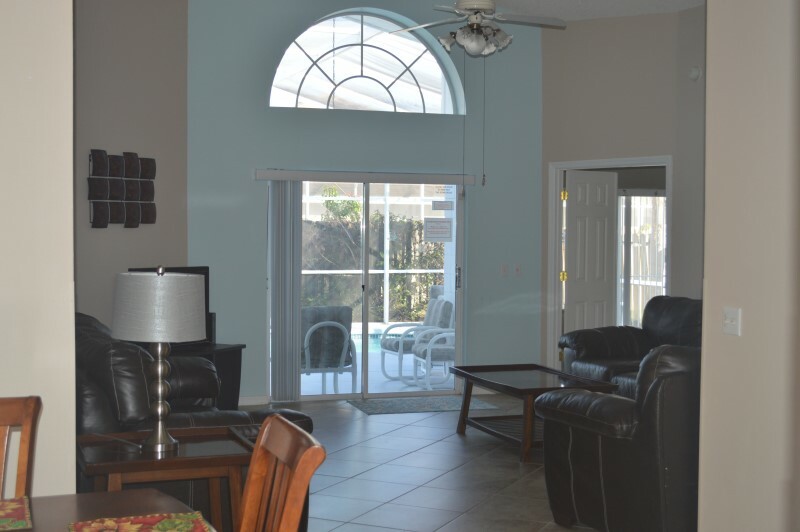 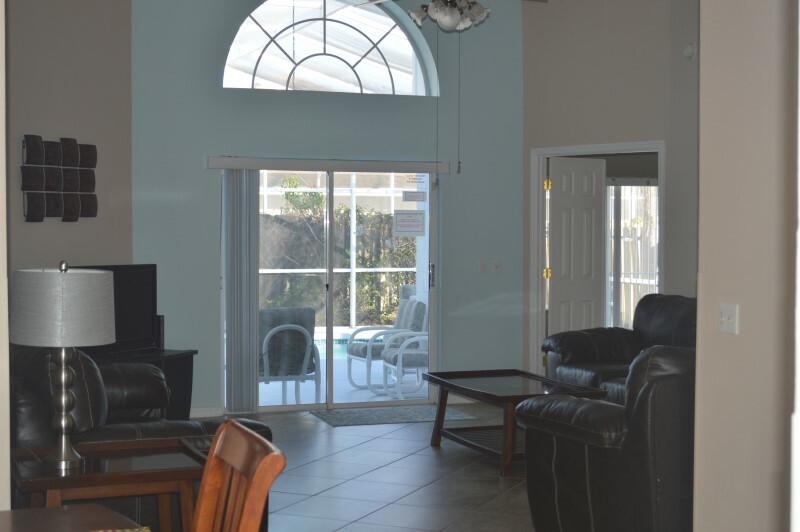 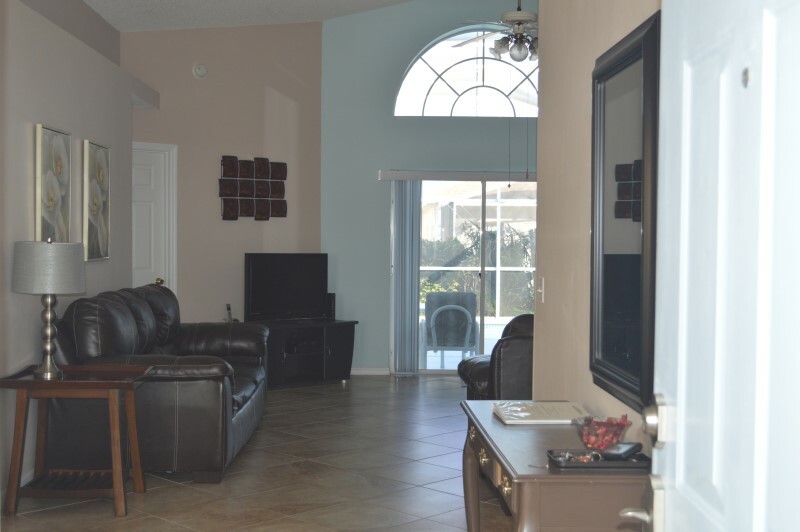 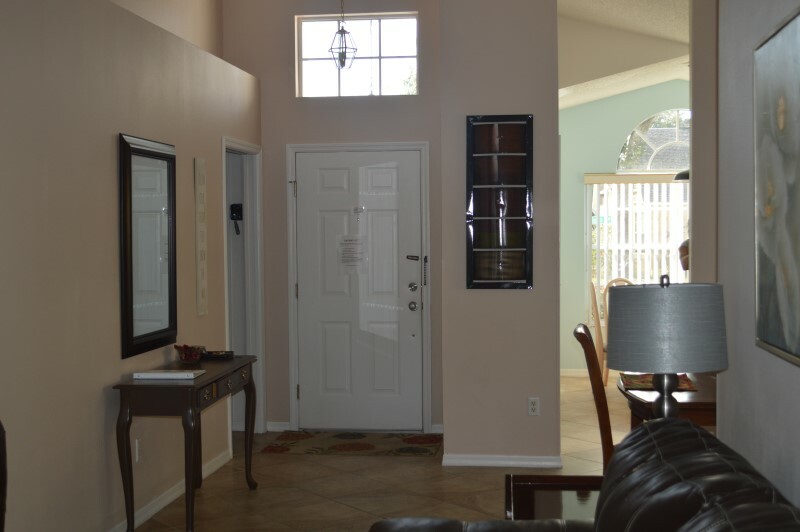 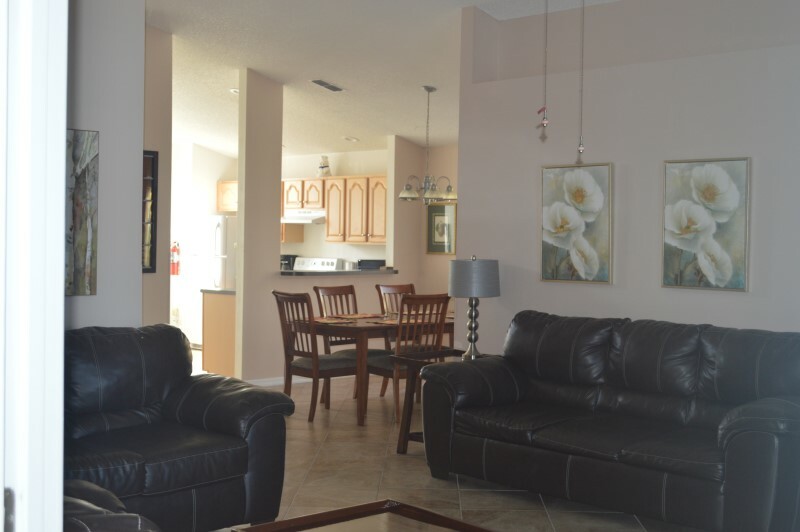 All areas of the villa are decorated in true Floridian style with Tiled Flooring throughout; theirs ceiling fans and vaulted ceiling. 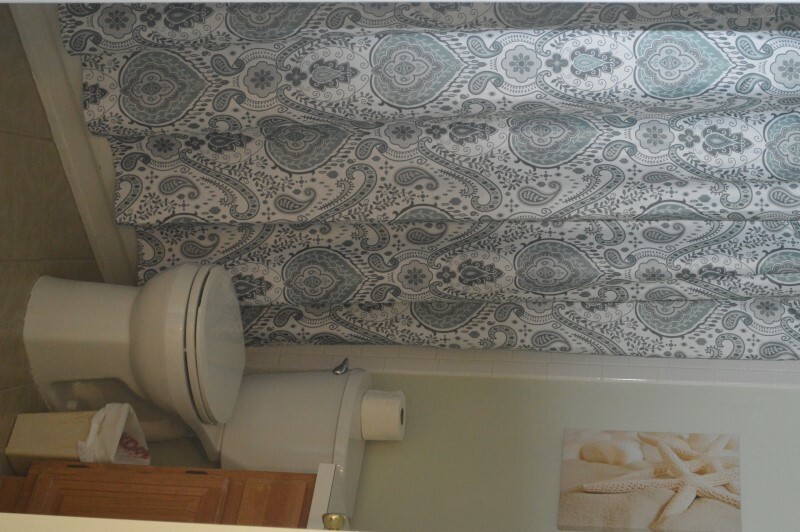 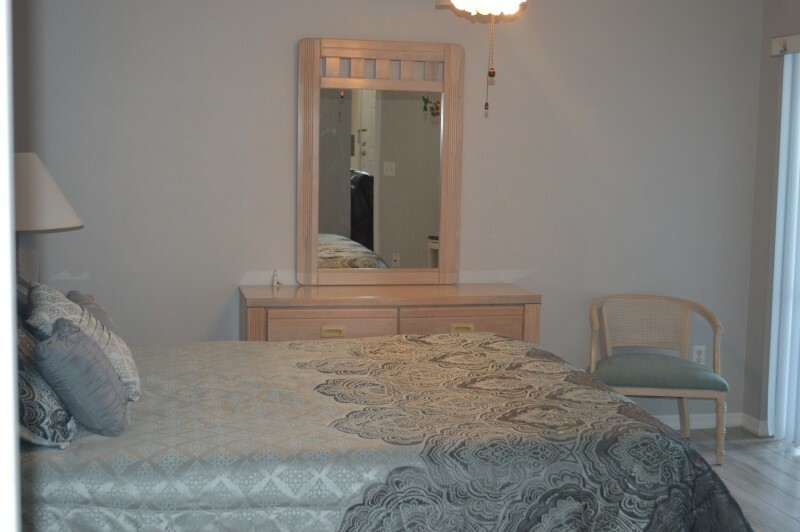 All linen and towels are included, hairdryers and clock radios. 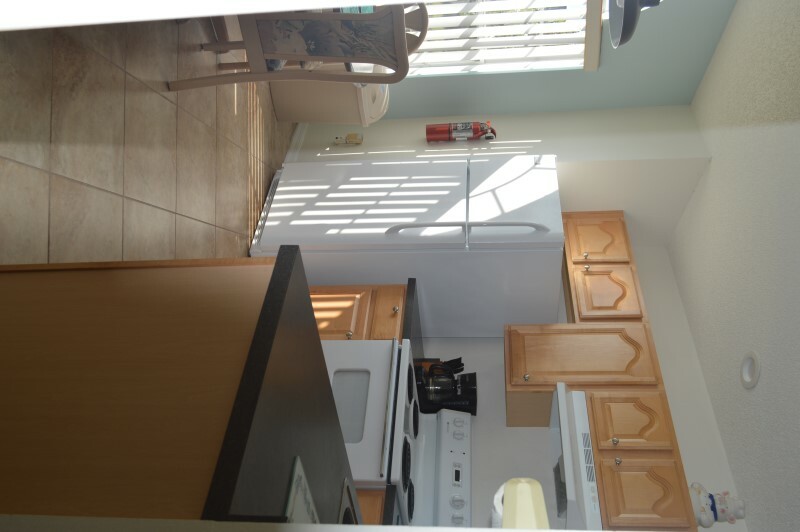 Our villa has a splendid modern kitchen and breakfast area is fully equipped with appliances, Refrigerator, Stove, Dishwasher plus all cookware and utensils are provided. 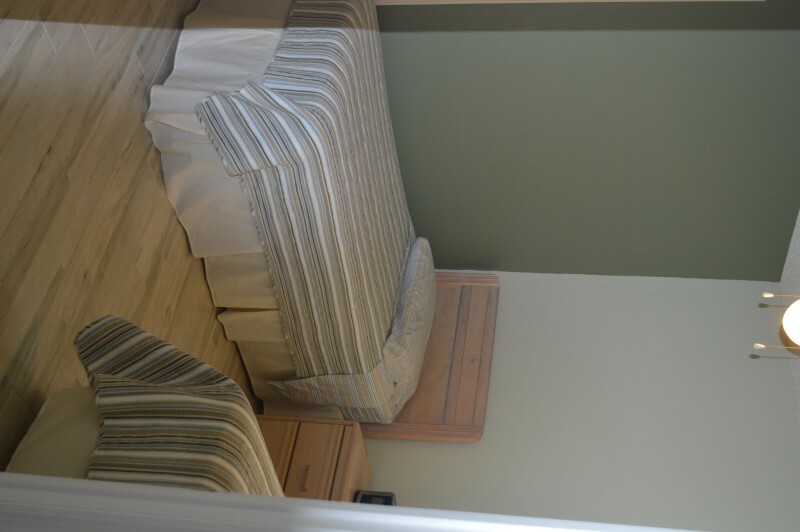 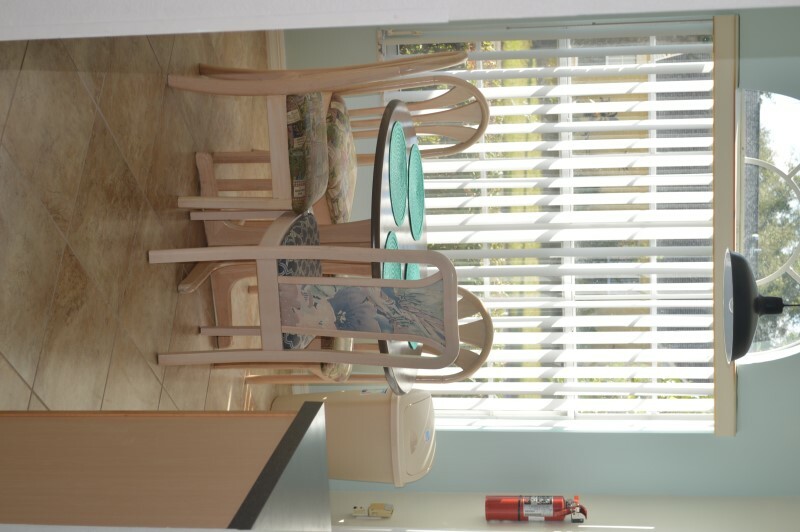 We also have Full Laundry Facilities (Washer and Dryer, Iron and Ironing board.) 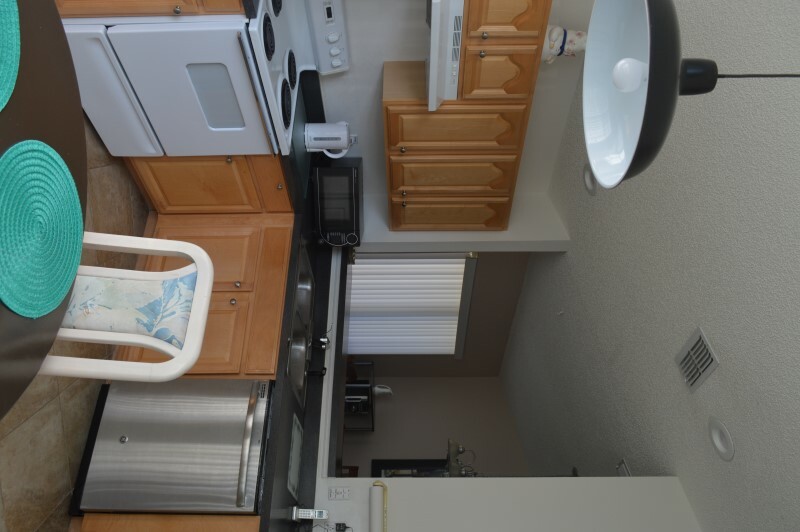 for your convenience.